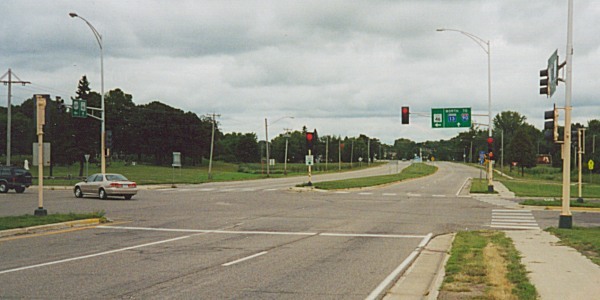 US 69's national northern terminus, somewhat unique in that it ends at a state highway, although US 16 formerly ran along the cross street. Photo by Monte Castleman. This is the view in the opposite direction, looking south. 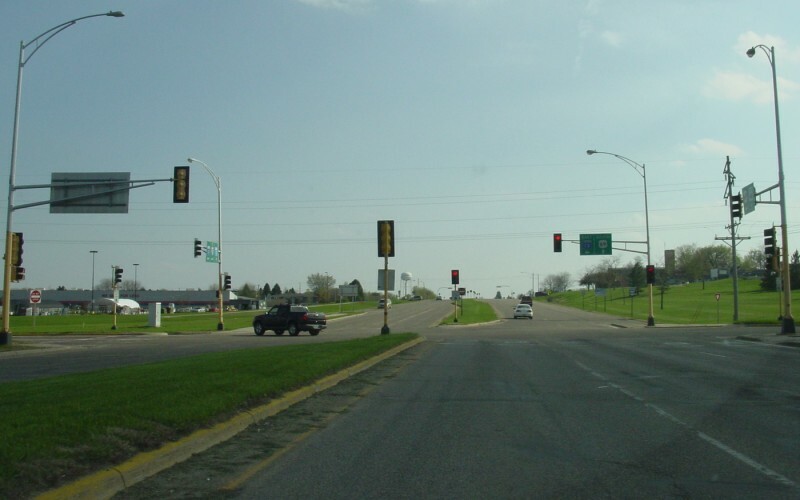 MN 13 turns left here, while US 69 continues straight. Photo by Adam Froehlig, taken May 3, 2003.